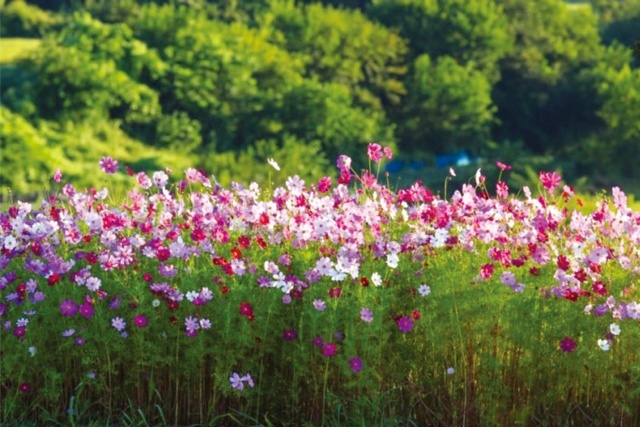 Cosmos flowers are piled up. Now this area is being urbanized, which is hard to see. As the years go by, I look back on the fruit of love and service that I have produced. Is the fruit of my faith life increasing in proportion to the number of years I have lived the faith life? I cannot bear the fruit of the Bible in my own strength… I would like to lead my faith life, giving armfuls of fruit to the Lord who is looking for fruit, emptying myself with prayer.